An introduction to this key organ. 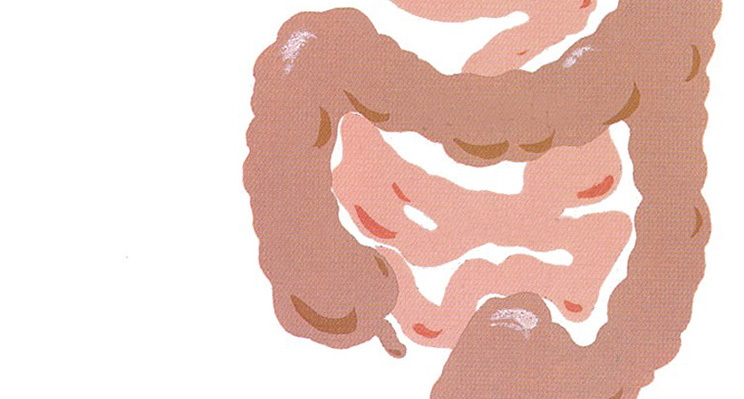 Understanding how the gut works can help us keep things running more smoothly. The mouth and teeth break food down into manageable pieces and mixes these with saliva, which starts the digestive process. The oesophagus is the conduit between the mouth and the stomach. Swallowing initiates powerful muscular contractions that push food down into the stomach. The stomach secretes acid and peptic enzymes which further dilute and break up the food, softening connective tissue and hard skins and husks, digesting proteins, killing off the majority bacteria in the food and delivering the resulting slurry into the small intestine in a regulated manner commensurate with the rate of digestion. It usually takes about 1-5 hours for most of a moderate sized mixed meal to be emptied from the stomach. The small intestine is a narrow tube and is about 6 metres long. Here the major food groups, protein fat and carbohydrate are broken down into amino acids, sugars and fatty acids, which are then absorbed into the blood stream. It can take between 2-4 hours for a meal to be processed in the small intestine. The colon or large intestine salvages unabsorbed material from the small intestine. During a 5-70 hour residence, it extracts salt and water from the solidifying contents, while the trillions of colonic bacteria ferment unabsorbed sugars, starches and proteins to short chain fatty acids, which may be utilised as a source of energy. The pancreas is a digestive gland that secretes an alkaline juice, containing powerful enzymes that break down protein, fat and carbohydrates. It is also the source of the hormone insulin. The liver receives blood from the gut, filters it, removes toxins, metabolises drugs, stores nutrients and synthesises proteins for various purposes including blood clotting. It also synthesises bile. The gall bladder stores and concentrates bile, and after a meal squeezes it into the small intestine, where it helps to digest fat.